Mary Ellen Reid, 89, of Lancaster, passed away on January 28, 2019 at Lancaster General Hospital. She was the loving wife of the late Francis Reid. 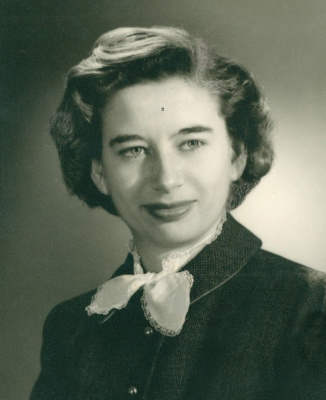 Born in Lancaster, PA, she was the daughter of the late Paul and Harriet (Mann) Kauffman. After graduating from Millersville University, Mary Ellen spent most of her career as a children’s librarian. In her spare time, she enjoyed reading and sharing what she learned with others, attending musical programs, traveling, and spending time with her puppy dogs and her loving family. She is survived by her nieces and nephews; Ronald Kilgore, Paul Kilgore (husband of Donna), Deborah Byers, Barbara Scrivener (wife of Donald), David Kilgore (husband of Lisa) and James Kilgore (husband of Karen). Also surviving are 13 great-nieces and nephews, 12 great-great nieces and nephews, 1 great-great-great niece and many extended family and friends. In addition to her husband and parents, she was predeceased by a niece Judy Harris and nephew Barry Kilgore. Mary Ellen you will be so missed. We love you and are thankful for the memories with you. I’m sure you are busy reuniting with your parents,sister and your niece Judy. Oh and Frank. You are in your glory now.